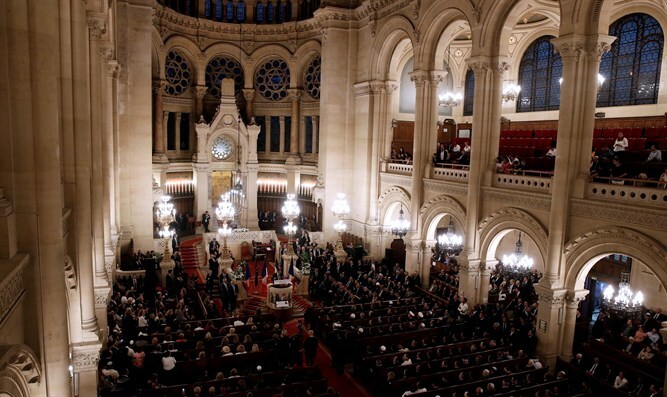 French President Emmanuel Macron attended a pre-Rosh Hashanah ceremony at the Great Synagogue of Paris, the first time that a sitting president has done so. 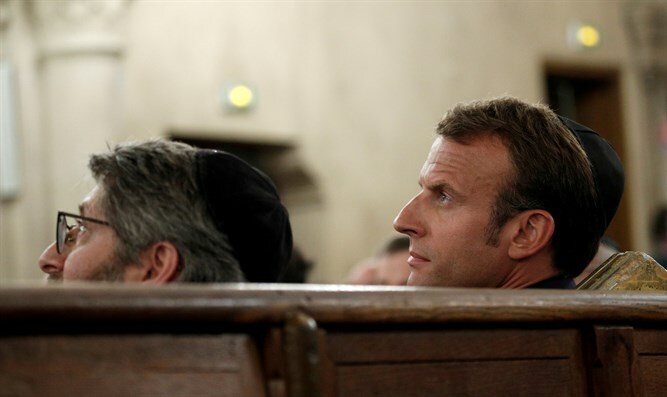 Macron, who was presented with several varieties of honey as a gift in honor of the Jewish New Year, did not speak at the Tuesday evening program, since France has a strict separation between state and religion, the French news agency AFP reported. Former French President Nicolas Sarkozy, French Senate President Gerard Larcher and Paris Mayor Anne Hidalgo also attended the ceremony. Macron was greeted by France’s Chief Rabbi Haim Korsia; Joel Mergui, president of the Consistoire organization that provides religious services to French Jews; and the chief rabbi of Paris, Michel Gugenheim, according to AFP. Jewish community leaders who spoke at the program directed their concern about rising anti-Semitism in the country to the visiting president. “Our children leave” because “France, the land of asylum, is becoming a land of exile for Jews,” Mergui said.